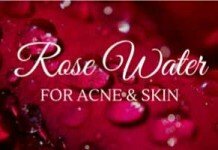 If you suffer from acne sporadically or on a constant basis then chances are you have tried every possible product on the market. Drug store shelves are flooded with products that promise the world. And let’s not get started with all the commercials you’re bombarded with. 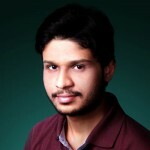 The problem is that most of them will provide very mediocre results and some can even aggravate the underlying issues. These are mainly a tendency for your skin’s pores to become blocked and your body to overreact to the presence of impurities, oils and bacteria. Salicylic Acid works best on white and blackheads, but doesn’t work as well on cystic acne? Salicylic acid can help with the first cause of acne which is dissolving the type of skin debris that causes clogs to your pores and creates the acne, which means that the best type of acne to treat with Salicylic acid is actually blackheads and white heads, Salicylic acid can be used directly to dissolve the keratin plugs and regulate the skin cells. One very effective treatment option is salicylic acid which is the active ingredient in quite a few skin care products. The main way that it works is by unclogging pores that can become blocked with environmental impurities or natural skin oils. This allows the pores to breath and with other products like toners you can help those open pores to contract. The result is a far lower chance of severe outbreaks and a healthier looking appearance. When used as art of a daily routine this will make a huge difference even when you have a mild outbreak. To help you find the best possible options, you can check out this guide where we list all the benefits of the most effective products available right now. Contains 3 most popular ingredients found in acne lotions. 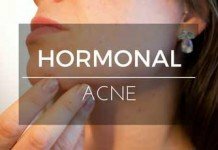 Deal with most types of acne. These are safe to use on the skin. Can help to rejuvenate your skin. 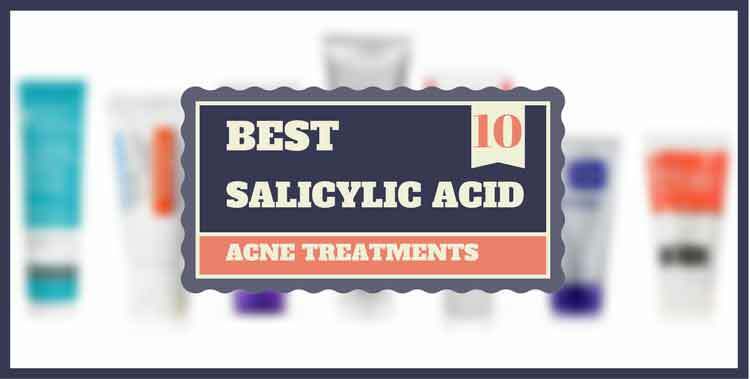 What Percentage Of Salicylic Acid Is Good For Acne? There have been several studies carried out on the effectiveness of salicylic acid. Time after time, these studies have demonstrated that this is a surprisingly effective treatment method for dealing with acne. One study looked at four other clinical studies. These all highlighted that acne in a person was reduced drastically when it came to the use of salicylic acid [source]. 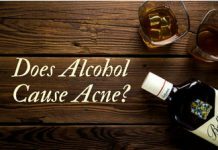 One study even went as far to say that salicylic acid is better for acne than benzoyl peroxide [source]. However, the best ingredient combination for acne treatment, by far, is benzoyl peroxide + salicylic acid – studies have proven this. You should use this combo if you want to ensure that you are getting the most effective treatment, particularly if you are already in the midst of an acne flare-up as you do want something which is going to eliminate the bacteria which have started to reside on the skin. Let’s get technical for a while. To understand why salicylic acid is such an effective medication against acne, you need to have an appreciation for its chemical structure. Beta hydroxy acids (BHAs) have their hydroxy part of the molecule separated by two carbon atoms, as opposed to one in alpha hydroxy acids, which makes them more oil soluble. Hence, you have salicylic acid as a main tool against clogged skin pores. Once it penetrates your skin, the acid part of the molecule dissolves dead skin cells and the intercellular matrix, or “glue”, that binds skin cells together. That’s where you get that extra kick for new cell turnover when using salicylic acid. Alpha hydroxy acids, on the other hand, are only good at un-clogging your pores and don’t play much role beneath your skin. Exfoliation is an integral part of an effective anti-acne regimen. The problem with acne is that skin cells become stubborn. Instead of sloughing off through a normal cell turnover, they hold their spot and result in clogged skin pores, blackheads and eventually pimples and cysts. The solution lies in keratolytic medications. They cause softening and shedding of the top layer of skin cells that promotes healthy skin cell cycle. And being a keratolytic agent, salicylic acid is a perfect candidate for gaining these exfoliating benefits. 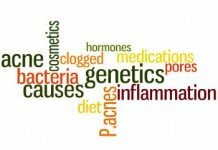 There are three main on-site factors behind acne: Abnormal cell turnover, excessive oiliness, and bacterial growth. 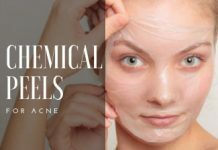 Salicylic is perfect at tackling the first issue due to the properties we discussed above, which makes it most lethal against comedonal acne such as blackheads and whiteheads. 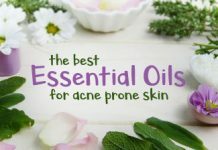 Although it does have some anti-bacterial properties that might pose a threat to cystic acne, but not as much as a benzoyl peroxide based acne treatment would do. What about controlling excess oil production? According to Dr. Annie Chiu, “Salicylic acid decreases oil production.” The tricky part is actually finding the right frequency and concentration so that you control enough oil while not stripping your skin off of all its natural oil balance. Being excellent at exfoliating skin, salicylic acid reduces the thickness of dead-skin-cell layer, resulting in improved skin tone and a glowing smooth skin. According to Dendy Engelman, MD, of Manhattan Dermatology and Cosmetic Surgery, exfoliative properties of salicylic acid reduce appearance of wrinkles and fine lines over time by promoting collagen growth. Collagen is the most abundant protein in the body that is responsible for the elasticity and hydration and overall structure of your skin. Several studies have confirmed that it’s healthy growth slows down the aging process by reducing wrinkles and dryness. Thanks to its ability to reduce melanin formation, along with the true and tested exfoliative properties, salicylic acid also helps reducing hyperpigmention. And it does so without increasing risk of irritation. So, no wonder doctors employ it to treat patients with sun and age spots and hyperpigmentation issues. It is by no means to say salicylic acid is safe to be applied under the sun. Nearly all acids have the tendency to make your skin vulnerable to UV rays. It’s always recommended to wear a sunscreen after their use. But being a BHA, salicylic acid still poses a lesser threat than glycolic acid and other alpha hydroxy acids. Nonetheless, it’s perfectly fine to go for salicylic acid only products if your skin doesn’t tolerate benzoyl peroxide. 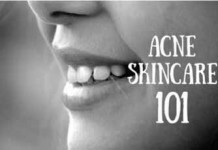 You do not need a lot salicylic acid to clear your skin. It is a very powerful active ingredient. There have been studies carried out which look at the impact of 2% all the way through to 12% salicylic acid. And there’s little difference between them. However, if you have excessively oily skin, then you may want to opt for a more powerful product. Most studies recommend between 0.5% and 2% solutions as being the best for the skin without causing irritation. While salicylic acid is a relatively safe product to use, people do note a few side-effects from time to time, and we feel it important to talk about all possibilities. As with any other symptom, reporting your doctor should be your first response to sighting of any of the side-effects caused by salicylic acid. Else, you may risk them getting worse. Salicylic acid makes your skin sensitive to the sun, although not as much as glycolic acid does. But as your first line of defense, limit your exposure to sunlight while having applied a salicylic acid cream or used an acne fighting face wash. If that’s not possible, wear well covered outfits and apply a sunscreen. And finally, don’t ask for trouble by enjoying sun lamps or tanning booths. Any kind of overdose for children less than 12 years of age can greatly increase risk of side-effects. Now this calls for some careful parenting here. We all know that acne is most damaging psychologically for children around this age. No wonder, out of desperation, your kid might use any treatment not necessarily in your knowledge containing salicylic acid. And before you know it, things can go bad. Therefore, never ever refrain from providing all kind of social, medical and emotional support to your child when they’re suffering from disease, specially acne. There’s been a lot of confusion about whether salicylic acid based acne treatments should be used during pregnancy or not. But as reported by Medical News Today, salicylic acid is safe during pregnancy. However, doctors recommend not going for concentrations above 2% during this stage of your life. Be careful about this point, because this is the reason behind all that confusion. Salicylic acid creams and washes mostly contain it in low concentrations, and even less of it is actually absorbed into your skin. Salicylic acid peels on the other hand can pose a great risk during pregnancy as they contain medication from 5% up to 10% concentration. Skin irritation. This is probably the most common of side-effects. With this, the skin suffers from redness or inflammation. The skin begins to peel. Swelling around the lips or eyes. 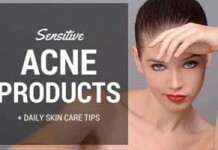 There are several different salicylic acne products on the market. 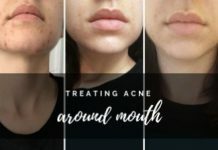 I have gone through review after review to find what are regarded as some of the best acne products that you can use. Let’s jump in to see all of them! 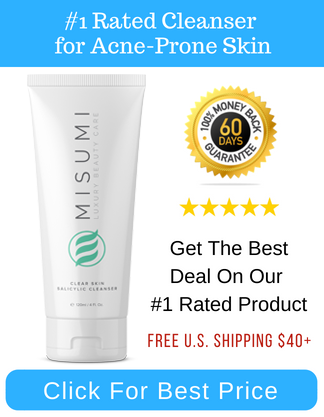 Misumi produces some of the most powerful and effective products for acne-prone skin available on the market today. They use the highest-quality ingredients and are really selective about picking effective but also safe and nature-based ingredients to use in their formula. When we did our testing, this product was by far our number 1 pick. The others just didn’t perform anywhere near as good as Misumi. Clear Skin Salicylic Cleanser is a unique and powerful combination of three active ingredients: Salicylic Acid, Glycolic Acid, and Lactic Acid. The three work together incredibly well to unclog pores, kill acne-causing bacteria, and heal damaged-skin tissue. The product works to clear the skin from the inside out and accelerate healing by promoting cell regeneration. On top of that, this formula incorporates Lavender Oil which has great antibacterial and sebum-balancing properties. It’ll help to soothe the skin, calm breakouts, and prevent severe acne scars. Lavender also helps to control oily skin by preventing excess production of sebum. If you want a high-quality product for deep cleansing and getting rid of blemishes, Misumi has got you covered. Three powerful acne-fighting ingredients all in one tube. Salicylic Acid helps to clear the skin and reduce breakouts. Glycolic acid deeply exfoliates, removing dead skin cells. AHA helps clear blemishes and reduce the appearance of acne scars. Unclogs pores and removes oil, sweat, and dirt. At $28.95, it is a little pricier than its competitors, but the 4 fl. oz. bottle offers a generous amount that is sure to last at least 2 full months and the results are definitely worth the extra money. For optimal results, pair Clear Skin Salicylic Cleanser with Misumi’s Pore Purifying Toner to tighten the pores and attack acne-causing bacteria. The two miracle-workers will help you achieve visibly clearer skin in two weeks. Misumi also offers a 60-day 100% money-back guarantee policy so you can try them absolutely risk-free! While this lotion from Clearskin does not have a big ‘brand name’ behind it like some of the other products on this list, it doesn’t make it any less good. In fact, this is one of the best salicylic acid products on the market. While it has been, mainly, designed to deal with acne on the face, it can be used for most acne on the skin. Suitable for: This product is suitable for all skin types. It contains the three most popular ingredients found in acne lotions. You have peptides, retinol medication and salicylic acid. There are very few products on the market which contain this much. It is fast acting and should be able to deal with most types of acne. This is a product that you can use daily. Not only can it clear up acne, but it will also be able to keep it at bay. Some people claim that it makes their skin greasy. There are some complaints from people who state that it ‘dries out’ their skin. This product is loaded with the best ingredients that can help you deal with your acne breakouts. 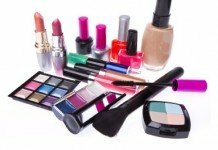 Of course, as with all of the products on this list, the main ingredient is salicylic acid. However, there is also some benzoyl peroxide thrown in for good measure. This helps the salicylic acid to really penetrate the skin and ensure that it is completely clean. This is a clinical strength product, although you do not have to worry about getting a prescription for it. Many people report that it can deal with the most-severe of acne flare-ups. Has a few herbal remedies thrown into the product too. These are safe to use on the skin. Can deal with ‘current’ acne flare-ups, as well as keep future flare-ups at bay. Can help to rejuvenate your skin and keep acne scars at bay. May be on the expensive side for some people. Some people report that it dries out their skin, although it is very rare for this to happen. This is a complex system of acne-fighting products. 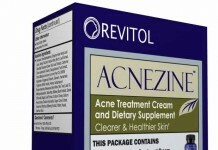 However, it is regarded as one of the best on the market for dealing with acne. 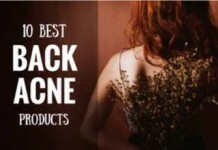 Not only will you find lotions in your ‘acne fighting kit’, but you will also find herbal supplements. These work together to ensure that the acne is kept at bay…permanently. You get a wealth of different products in the kit. All of these have been formulated to deal with acne. Whereas one product can only do one job, throw the others into the mix and almost everything you need to fight off acne is there. It works with just about everybody. People notice ‘clear skin’ in as little as a week. The treatments are mild. This means that you will not need to deal with those awful acne flare-ups. It is more expensive than most of the other products on this list. It does, however, come with a 100% satisfaction guarantee. It does take a while to apply the skin cleaning regime. While many people will use the Biore Blemish Fighting Ice Cleanser for dealing with acne after it flares-up, it is also gentle enough to keep acne at bay. This product is able to easily clear out the majority of acne-causing dirt and bacteria from the skin, which means you are going to end up with healthy skin before you know it. Suitable for: It has originally been designed for oily skin, but it can be used for just about any skin type. It is incredibly effective at removing dirt and oil from the skin. In fact, it should be able to remove up to 99% of the grime, which means that your pores are going to be kept clean. Salicylic acid will help to eradicate all of that acne-causing bacteria, which means flare-ups will be prevented. It is an incredibly gentle lotion and can be used daily without any damage to the skin. Those with excessively dry skin may find that this product dries out their skin completely. You will notice this after a couple of washes, which means you can stop using it pretty quickly. Some people do not find the smell that pleasant. However, do bear in mind that this product is for clearing up acne, not to ensure that you smell great! This acne control kit includes three different products. You have a Benzoyl peroxide acne cleanser, a Salicylic acid acne moisturizer and a Salicylic acid acne medicine. While you can use them on their own, they are best used alongside one another. This incredibly powerful combination of ingredients can start cleaning skin in as little as a day, although the product has been designed for long-term usage. 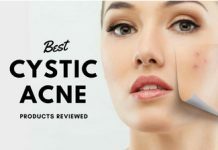 Suitable for: while you can use this product on almost every skin type out there, it is recommended that you purchase this if you are suffering from serious bouts of acne, or at least if you have regular flare-ups of the condition. This is an ‘all in one’ kit. This means that if you are looking to deal with acne, you are only ever really going to need to have this! It is incredibly powerful. 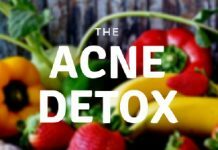 It uses the most popular ingredients for dealing with acne, which means that it should work on just about every single person out there, particularly if they are dealing with severe acne. This product uses proper ingredients. It is not natural in the slightest. It is a medicated treatment. It is quick and easy to apply. You only need to apply it just once a day, and it takes no more than a couple of minutes. Not everybody will need the ‘three ingredient’ combination. Not everybody’s skin is going to be receptive to salicylic acid. This leads to irritated skin. If this happens to you, stop using the product immediately. Neutrogena is one of the largest names in the skin care industry. It, therefore, makes sense that sooner or later they would release an acne-fighting product. This is it. There is one interesting fact about this product. You see, while it is designed to deal with acne, it has also been formulated to deal with the signs of ageing. This means that it may be suitable for those dealing with acne who may be getting slightly older! This product contains other ingredients which may also prove useful to the health of your skin. For example, vitamin C and E to help strengthen it. It is non-greasy. This means that it should be fine for those who are dealing with excessively oily skin. This means that you do not have to worry about the product blocking your pores or anything like that. Helps to protect the skin from UVA/UVB rays. This is one of the things that can really impact ageing. It is one of the more expensive products on the market. Some people find that using this in combination with other products may cause severe breakouts. This is another Neutrogena product, although it is a bit different to the one mentioned previously. Rather than helping to deal with breakouts that you already have, this one is designed to keep future breakouts at bay. For this reason, it is a very mild product which has been designed to be used on a daily basis. Many of the people who use this product find that they never even suffer from an acne breakout, it is just that brilliant. This product uses a special ‘delivery’ method for ensuring that the salicylic acid is able to penetrate deeply into the skin. Quite honestly, it is one of the more effective products on the market in that regard. Quickly unclogs your pores, and keeps them unclogged. Use this daily and you will never have to worry about acne again. It is an oil-free product. This means that you do not have to worry about it causing issues on your skin. It is a very gentle product. Unlike some other salicylic products on the market, you won’t really notice ‘redness’ on the skin. It may be a little bit too mild for those who suffer from severe acne breakouts. It is probably not going to be effective enough if you are amid an acne flare-up. You may want to look for other products in that case. It is brilliant at keeping acne at bay, however. This one is a bit different to the other products that we have covered thus far. This is because it does not take the form of a lotion. Instead, it comes in the form of cleansing pads. That being said, there should be enough ‘pads’ here to equal the amount of cleaning that the other salicylic acid products that we have covered so far have. This product comes in the form of pads. This makes it simpler to use than lotion. You just dab the pad on the impacted area. It penetrates incredibly deeply. This means that the skin surface will be completely clean. Since it removes most the dirt and grime, you are not going to need to worry about those awful acne breakouts. This is a product which has been designed for ‘daily usage’. This means that you do not have to worry about it irritating your skin over time. 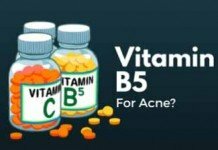 In fact, this product has been designed to keep acne at bay, rather than eliminating acne that you have already, although it is good at that too. It is brilliant for oily skin, which is very rare for a medicated solution. Some people may not like the pads. 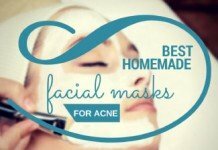 It is not that great at eliminating acne flare-ups. It is more to be used as a ‘preventative’ measure. One of the best things about this kit is that it comes complete with a ‘facial scrubber’. This allows the salicylic acid to penetrate deep into the skin. This ensures that all of the bacteria in there is eliminated. This really helps when it comes to dealing with acne. Is the cheapest product on this list. If you want something that is effective without blowing a hole in your bank account, then this is the product that you want. Penetrates deeply into the skin. 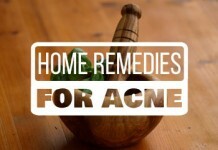 It can help deal with both current and future acne flare-ups. It works very well for sensitive skin. Although it has been designed for all skin types, those with sensitive skin tend to get the most benefit from it. Not as strong as some of the other products on this list. This is the one I’ve had great results myself. It’s a bit different from the other products so far. Rather than being a lotion, this is a herbal clay which helps to draw out all of that ‘bad stuff’ from your skin. This results in clearer and fairy looking skin. It does take a bit longer to apply, but it is very effective. Eliminates excess oil from your skin. 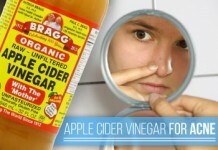 This ensures that your pores do not become clogged. Combines a multitude of ingredients which ensures that not only is your skin acne-free, but it also ensures that it is completely smooth too. Facial scrub ensures that the stubborn dirt and grime is broken loose. Since this is a facial clay, it does take a bit longer to apply. Not as high in salicylic acid as some other products. Backed with proven anti-acne properties of salicylic acid combined with anti-ageing and anti-bacterial effects of mandelic acid, these medicated pads from Neutralyze offer a unique acne treatment for all. Suitable for: All skins, including dry and sensitive. Designed to give results fast and easy. Although not typical, users have reported improvement in acne spots in as little as a night. Can also be used as acne body pad for shoulders, chest, upper back, etc. And you can do this without fair of bleaching out your clothes which benzoyl peroxide treatments do. Use them as needed. They’re not meant to be used like daily pills. No strong fragrance. Leaves your skin fresh and smooth after first use. Along with fighting blackhead, whiteheads, pimples and cysts, it also helps reducing dark spots and fine lines on your skin. Some skin types can still suffer dryness from its use. Follow up with a good quality moisturizer in such a case. Size of the pads is not that big. So you might have trouble covering large surface areas. This serum from TruSkin Naturals blends proven scientific and natural ingredients to bring your skin the best of both worlds. It has vitamin c, retinol, niacinamide (vitamin B3), salicylic acid and hyaluronic acid to keep your acne at bay while promoting a softer, radiant skin. Suitable for: Normal, oily and combination skin. Not just an acne treatment, but also great for regular skin care. Works as good for a teenager as for a 60 year old. Shrinks your skin pores and leaves your skin softer and brighter. If you’ve tried everything from prescription creams and drugs to Proactiv and Rodan and Fields but nothing worked, this might well be the solution you’re looking for. Not suitable for dry and sensitive skin. Can cause excessive dryness and moisturization is highly recommended after its use. Does not produce instant results, expect results in weeks’ time. 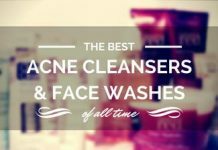 What do you think about this curated list of the best salicylic acid acne treatments out there? Do you have any questions about any of these products? Any recommendations you want to share? Please share your valuable thoughts in the comments below! It would have been helpful if you would have included the strengths of the key ingredients in each product. (It’d be even more helpful if the manufacturers would list on their products!) Still, appreciate the list & the intro about each key ingredient & how they function. Thank you.